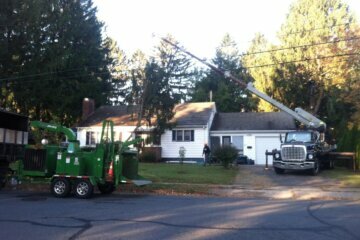 When it’s time to hire a professional for tree service in New Brunswick NJ and surrounding areas, it is time to call the pros at Raritan Valley Tree Service. 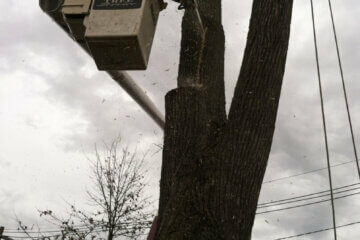 A lot of individuals make the mistake of putting off tree service when they need it the most. Your trees are potentially capable of becoming dangerous and weak at the end of the summer as a result of the damage capable of being caused by dry weather and insects. Ensuring big limbs are prevented from falling on walkways, roads, and energy lines is essential, which is the reason you should get in touch with Raritan Valley Tree Service if you’re looking for a qualified tree removal company in Highland Park NJ. 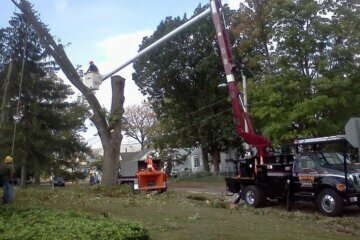 It’s always in your best interest to hire a professional for tree removal in New Brunswick NJ and nearby areas. On your own, there’s a great deal you can do when it comes to tree maintenance. To keep your trees looking fantastic and healthy for a long time to come a watering schedule and fertilization is capable of going a long way. It is both safer and more effective however to hire a professional team like the pros at Raritan Valley Tree Service when your tree limbs are overgrown or you’ve got a big tree which needs a trim. 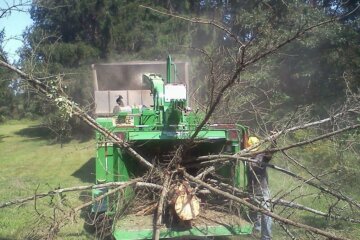 Many people believe they can handle light tree cutting on their own. However, without the proper equipment, cutting limbs that are up high and removing larger branches can be unbelievably risky. When you don’t want to cope with the hassle that comes with professional tree care, simply give us a call at Raritan Valley Tree Service. 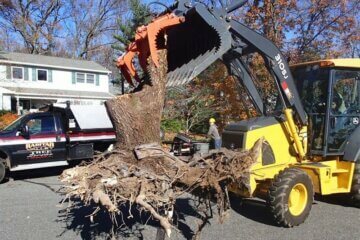 With our reasonable cost for tree removal in Highland Park NJ, even professional tree removal is simple and easy. When you’ve ever thought about hiring a tree service in New Brunswick NJ and nearby areas, but you were unsure because of the perceived cost or stress, Raritan Valley Tree Service is the answer. We’ll never do any work on your trees without your permission, which is a top concern of homeowners as it pertains to hiring a professional tree service. When we perform any service, you will be aware of what is being done ahead of time, and there will never be any surprises in your yard or on your final bill. 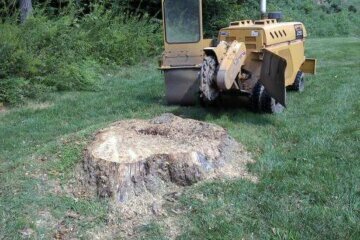 Raritan Valley Tree Service is also a leading tree removal company, so when a tree or trees have to be removed at your house or business, you never need to hire another company to come and remove the tree or the stump. The staff at Raritan Valley Tree Service focuses on complete customer care, which includes tree care education during service and complete cleanup. You are able to rest assured that any job we take on is going to be completed right the first time. We’ll never leave unsightly and unsafe debris in the yard after tree removal and trimming. We’ve got experts that are standing by to assist you in setting up the most effective watering schedule for your trees as well as discover the best kind of fertilizer or planting products for the specific types of trees on your property. 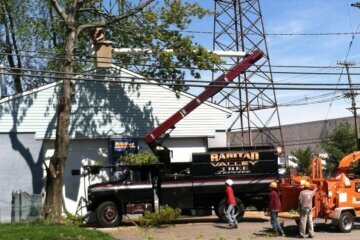 We do more than just tree trimming, cutting and removal at Raritan Valley Tree Service. 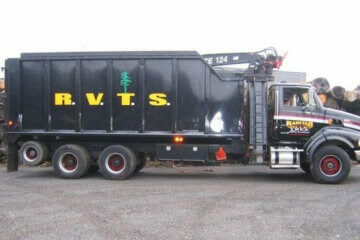 Raritan Valley Tree Service is the only company you require when it comes to anything to do with your trees. Supplying high quality seasoned firewood in New Brunswick NJ and surrounding areas is another service we’re capable of offering at Raritan Valley Tree Service. Regular grocery store bought firewood doesn’t always cut it, as result of the fact that it’s harder to light and produces more soot and smoke. The seasoned firewood we offer provides a more pleasing experience because it’s much less hassle and has a much more pleasant odor. Get in touch with us today if you’re looking for high quality seasoned firewood for sale in Highland Park NJ. 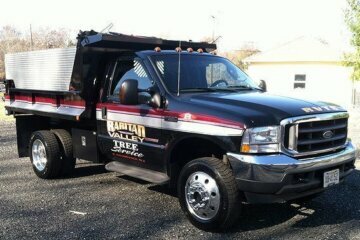 Raritan Valley is standing by if you need emergency tree service near New Brunswick NJ. Should a tree limb look like its about to fall or looks hazardous, for instance following a storm, find someone you’re capable of relying on to be there when you need help the most. 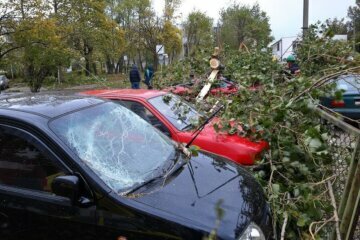 You don’t want to just trust anyone with this type of work considering the dangers involved. At Raritan Valley Tree Service we possess the skills and experience to guarantee the safety or you, your family, and your home. If you require a tree service contractor in Highland Park NJ or other local areas for emergency service, get in touch with us right away. 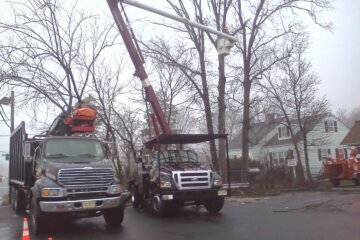 The next time you require any sort of tree service in New Brunswick NJ and surrounding areas, remember to get in touch with Raritan Valley Tree Service.